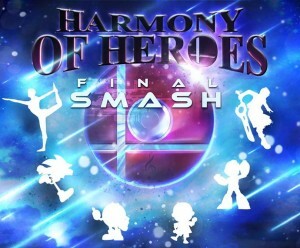 Harmony of Heroes: Final Smash is a follow up fan tribute project Harmony of Heroes, which featured remixes and arrangements of the music of the Super Smash Bros. series, as well as the many games featured within it. 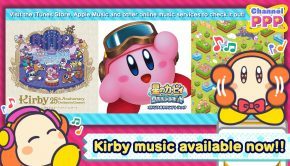 This expansion album again has works from many great arrangers in the community, and this time the material focuses on some of the new faces of the newest entries, Super Smash Bros. for 3DS and WiiU. The album opens and closes with orchestral arrangements. The first track is by Sebastian Mårtensson, who arranges an 11-minute medley of Mega Man 2 music. Like with the previous album, this arrangement and others later have a great sounding synthetic orchestra. This track is at times mysterious, playful, and epic, and Mårtensson’s orchestrations do a great job of realizing these elements. Closing is Zack Parrish’s “All That Remains (The Grand Finale)” who changes the song up to a symphonic rock style but gives the lead melody to Jeff Ball on violin, so that it still sounds very much like a Shimomura track. The spotlight later goes to some other instruments and even some chiptune, rounding out the already fantastic and epic arrangement. In between a few other orchestral arrangements are also present. Erik Scerri’s “Titans (Gaur Plains)” with Michaela Nachtigall and Stephan Wells begins with a soft, melancholy piano that leads into exciting tribal percussion under a pressing melody that becomes more frantic. Parrish’s “If You Believe (Magicant)” is the opposite tone, bright and uplifting with a soaring arrangement. The piece is very evocative, and the arrangement is wonderfully dynamic. As with the previous album, great work in the orchestral tracks in both arrangement and production throughout. The album also has a share of rock arrangements. The first of these is Thunderclash’s “Your Face is History (Running/Countdown)”, with some humorous lyrics and plenty of energy. Stephan Wells’ “In a Dream (Snake Eater)” has some nice female vocals in a symphonic rock arrangement with plenty of style. “Battle of the Generations (Pokémon Battle Medley)” by DJ Bouche is a lighter rock track with some solo violin work from Michaela Nachtigall, though it may have benefitted from a bit more edge given its source material. 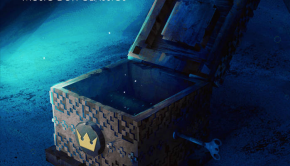 PirateCrab’s “Shadow of the Core (Master Core)” will satisfy those looking for a harder style track, as should Moa Lenngren’s “Through the Blades of Shadow (Shadow Man Stage)”, which weaves in chips seamlessly. Pretty good and varied work in the rock department. Other ensemble arrangements are also present. Vincent Rubinetti’s “The Name’s Kong (Gear Getaway)” is a wonderful spy-theme re-imaging for concert band. Parrish’s “Me and the Kapp’n Make it Happ’n (Kapp’n’s Song)” is a short but pleasant and fun track with a small band and some marimbas. Mårtensson and Helena Burström’s “Ignite (Spark Man Theme)” has some great acoustic guitar work with some other instruments in a groovy and slightly Western arrangement. These influences carry over in Mårtensson’s “Paku Paku (PAC-MAN)”, which brings in some chanting vocals rather unexpectedly, but to a mostly good effect. The Western themes are more clearly seen in Sean Haeberman’s “Toot, Whistle, Bang! (Full Steam Ahead)”, also providing a fun new interpretation on the Zelda main theme in a short cameo. For the most part these tracks are good, though some interpretations won’t be for everyone few of the tracks feel essential. The largest division of the album is that of electronic remixes which are mostly light and enjoyable, if at times a little unremarkable and safe in the already vast realm of electronic fan remixes. Many of these remixes have some retro or chiptune influence, like Basheman’s charming and energetic “It’s a Skateboard Rave for All (Skateboard Arena)” with its varied retro sounds and Wii Fit Trainer voice samples (update 2/12/15: Jennifer Petersson provides the voice samples), while Stephan Wells and Laura Intravia mix orchestral with chiptune in the delightful and bright “To the Stars (Egg Planet)”. Of note is Bernardo Limon’s “Athletic Pun (Athletic Theme)”, which has a piano underlie ethereal and chip electronic elements with chanting in a unique but very successful combination. In more straightforward styles, FantomenK’s “On the Edge of Tomorrow (Live & Learn)” has a lively electronic rock remix instrumental to accompany Moa Lenngren’s vocals, and Spheral’s “From the Mirror or Truth (Dark Pit’s Theme)” is a fine drum’n’bass track. These and the other tracks are fun and welcome additions to the collection, though at times not very ambitious or particularly noteworthy. 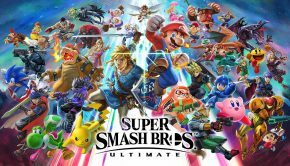 Harmony of Heroes: Final Smash brings more of what made the first project a success, while giving attention to lesser themes and series of the Smash universe. Given the shorter production time on this album the quality is a bit under that of the first project, with more tracks that are merely good and fewer that are really great (but those really great tracks are certainly there!) Still, it is all well crafted and fun to listen to. As a free expansion, it still naturally comes as an easy recommendation, with much appreciation to the dedicated team behind the project. Posted on January 28, 2015 by Christopher Huynh. Last modified on March 3, 2015. Just thought I’d say that the voices used in Basheman’s “It’s a Skateboard Rave For All” isn’t samples from the game but Jennifer Petersson “voice acting”. We don’t want to use any samples from any of the games just to stay in the safe zone as far as copyright goes. Nice review though! 🙂 It was a nice read. Thanks, I’ve made a note of that!